Download and install the iPhone app “Record Phone Calls”. This is a iPhone app that can record the complete phone call and automatically send the entire conversation to your email as a .wav file attachment. 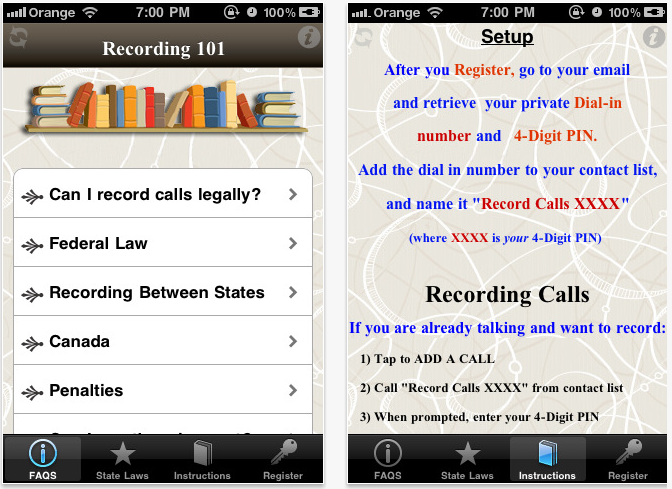 You can record the phone call of both sides by using this app. You can listen the recorded call anytime from your PC by downloading the email attachment or by signing into your personal Voice Box account. This app is compatible with iPhone, iPod touch, and iPad and requires iOS 3.1.3 or later as a minimum. This 4.4 MB sized app by The Blue Square Group, LLC. Stay tuned with us at Facebook & Twitter and Subscribe Email to get updates on latest iTune Updates.